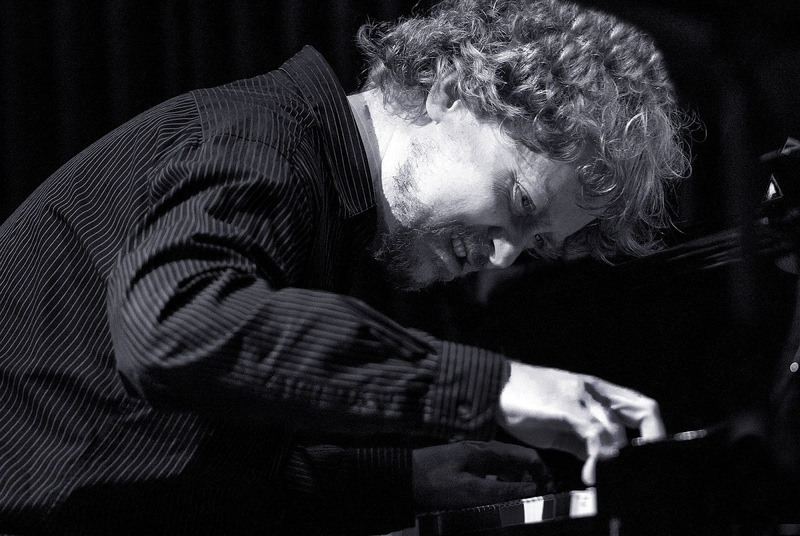 Berne’s association with Mitchell has indeed proved fruitful, their best known collaboration being the pianist’s role in Tim’s group Snakeoil, whose recordings for the ECM label have won widespread acclaim. Now the altoist and the pianist have recorded a CD of duets, Angel Dusk, for Berne’s own label Screwgun Records. 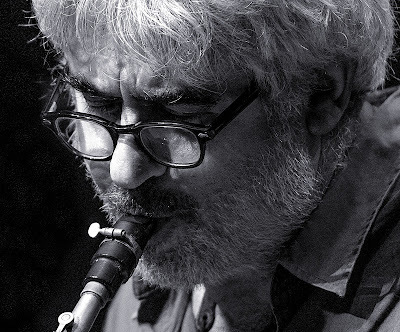 Their rapport in their Birmingham performance was indeed extraordinary, with the altoist’s long, swirling and absorbingly complex lines complemented by Mitchell’s intense splashes of vibrant, rippling arpeggios exploring the whole keyboard, at times matching the saxophonist phrase by phrase, and in other places creating dark background tonal colours. Berne’s mastery as an expert creator of harmonically dense compositions, spinning seamlessly into furiously passionate free improvisations, is well established. Mitchell has matured into an immensely gifted improviser, leading his own trio with bassist Chris Tordini and drummer Dan Weiss, as well as collaborating with artists including trumpeter Dave Douglas, altoist Rudresh Mahanthappa and Darcy James Argue’s adventurous big band Secret Society. The Birmingham performance included some of Mitchell’s own compositions, among them the curious-titled Tooth Helmet and Pouting Grimace. Berne’s own strong compositions included Traction, and several pieces yet to be titled. 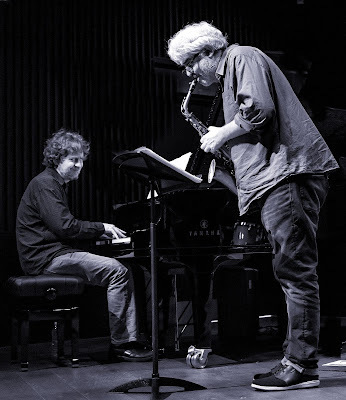 Another untitled piece, by the late saxophonist Julius Hemphill of World Saxophone Quartet fame, was a remarkable highlight, and it was intriguing, though impossible, to try to catch the moment when the written piece ended and Berne’s improvising began. The duet performance followed three days of workshops by Berne and Mitchell at the conservatoire, in a collaboration between its jazz course and Tony Dudley Evans of TDE Promotions. The evening’s performance had begun with a work specially written by Berne for the jazz course students, and it was frustrating that a late-running train caused me to miss it. However, I spoke to some of those lucky enough to squeeze into the packed club on time, and the verdict was “marvellous”. Berne himself said the students had been “amazing”. The next collaboration between TDE Promotions and the conservatoire will feature legendary American drummer Hamid Drake, with saxophonist Paul Dunmall’s Quintet on 9 November.